I think the key is to have enough games so that the kids do not get bored at this station. It is important to also have a variety of math skills for them to practice. I try to supply games that fit in with our current math topic, although sometimes that is easier said than done. 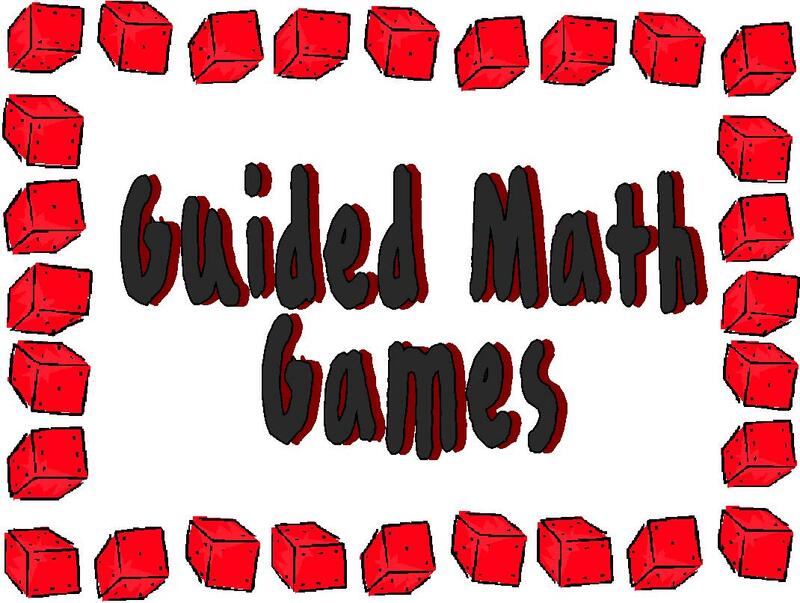 It is a good idea to have a posted list of every game that is available for kids to choose and which math category it goes under. Once a week I have Choice day. During this day students may choose what game they want to play. Now as most teachers know, you cannot just let the kids start the math game station without setting rules, guidelines and practicing correct station behaviors. You also have to teach the kids how to play the games. Starting up a math game station does not mean you have to go out and spent a lot of money on games. In fact there are a lot of math games you can create yourself using simple materials such as dice. Here are some links to some great math dice games. There is enough here to teach quite a few different games. This is something that I would teach at the beginning of the school year. They are quick, simple games to learn and play. Here are some links to different math dice you can purchase for relatively low prices through Amazon. Also remember to check Ebay, sometimes you can get great deals there. My math game station consists of mainly math board games. Over the last several years I have acquired quite a variety of different board games. I have been very fortunate to receive several grants to purchase math materials through DonorsChoose. I have also used classroom money and dipped into just a little bit into my own pocket to purchase games. 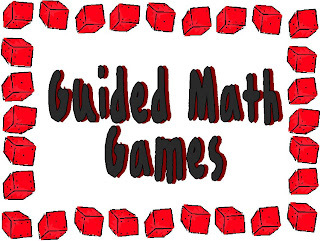 Also LakeShore Learning has a great variety of math games. DonorsChoose usesLakeShore as one of their vendors, so I was able to get my math games throughLakeShore. The Allowance Game: The kids can't get enough of this game!! Every year, it is a hands down class favorite. During choice day, students always choose this one. Of course I have two of these on hand. I was very fortunate to find one at a garage sale on summer! You can also find this for cheaper through LakeShore Learning. I added this one this school year and it quickly became a favorite. Are you familiar with the original version of Sequence? If so, this is just like the original version, however it has addition and subtraction problems for the kids to solve. They put their chips down on the answer. I would also highly recommend getting the original sequence as a choice for math game station. Remember that math is also under the realm of logic, Sequence is great for building logic skills. Wow! Thanks for the resource. This has really given me great ideas on how to manage my math groups... Do you have any ideas on some easier math games for first graders? I usually have an EIP class so many of my students are really fighting basic number sense issues to begin with. Thank you so much for sharing your ideas with us. I have found many things that will be useful with my 4th graders.